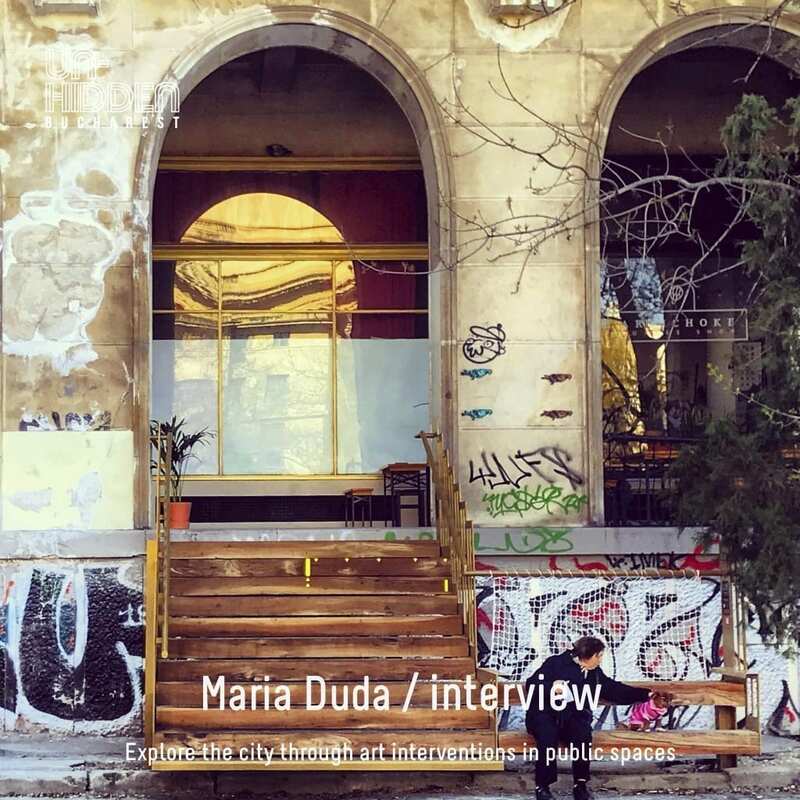 The Un-hidden Bucharest series of interviews continues with a discussion about change alongside Maria Duda, a founding member of BAZA, from which the Little Improvements initiative was born. Maria proposes for Bucharest a return to details and a connection to the concrete situations, talks about the recently inaugurated staircase and bench for Kretzulescu, working with college and high school students, about excellent ideas implemented in the public space in the country and abroad, and how can art have a positive influence on the interior and exterior context. f: Hello, Maria, what does change mean for you – as a human, as an architect and initiator of projects with an urban, social and cultural impact, as a resident of Bucharest? Maria Duda: Change. What I like about change is that it is active, it requires a re-adaptation, a realignment of its context, not just external; it is a metabolism catalyst itself. In my doctoral research, I looked for a change in the form of permutations in the public space of Bucharest, for instance. Permutations of attraction poles, attractors of attention, mutations of shape, functions, and especially of significance. Change has many valences; you can also notice this from the partial synonyms that I have listed above. Without reaction, and here I refer to as a decision of action, you cannot survive change for long. Moving from the semantics sphere to the everyday reality, I consider that the physical change of the buildings, sidewalks, the city, corresponds, at the level of the user, instantly, viscerally, to a behavioural shift in attitude. So this phenomenon is absolutely crucial to the awareness of the impact that projects and interventions of any type, architectural or related to infrastructure, have for the public and the user. We as professionals create the framework. The frame creates stories and memories, which in turn shape the collective identity. The immense risk of change, which we are currently facing in Bucharest, is the lack of responsibility or the one-off discernment that derails the interventions – the typical “it doesn’t matter if”, “others will fix it”, “no one will mind/notice”, “just 5 minutes” – which are met on the other side by apparent tolerance, that pseudo-indifference if you like, but hiding an increasing nervousness. Personally, whether it is on the side of change or the reaction to change, the responsibility for one, if not for both, must be assumed. f: How does Bucharest look from your perspective at this moment? You were recently saying that “normalisation” is the term that best expresses the needs of the capital, especially in terms of comfort, safety, accessibility and the integration into the urban space and life of all categories of people, regardless of physical abilities, social status, etc. While other cities in the world are focusing on efficiency and sustainability, smart urban mobility solutions and even aesthetic changes, we are somehow in the primary area of utility. How do we begin the transition in this situation? What are the main challenges? What are the solutions for a long-term, consistent transformation? Maria Duda: I don’t know whether we are in a primary utility area or somewhat caught up in a paradigm of repairs lacking consistency. We have cars that park on the sidewalk – we install bollards, we don’t have parking spaces in bedroom communities – we park on the sidewalks, we have heavy traffic – we widen the streets. We have a city that indeed, on a territorial scale, responds to the primary needs of infrastructure to a sufficient extent, at limits, but which at the level of detail is entirely diffuse. The details represent the daily routine of every one of us: from the comfort of our home, on the way to school, work, park, market, either on the sidewalk bypassing parked cars, the electric transformer boxes, the pillars, the bollards, looking for signalled and illuminated pedestrian crossings, be it in public transport, with stations that sometimes do not have benches, orientation maps or timetables, either with the personal car and the nervousness of jamming, horns, unexpected turns and hunting a parking space. Also, as far as free time and the city offer for walking, relaxation, contemplation, sport, culture are concerned – again, at the level of details, how many public and central public spaces and buildings are accessible as distance and offer of activities for children, adolescents, elderly people, regardless of their locomotive, visual, mental abilities? The change has come in recent years through two methods, usually practised by civic initiative groups, NGOs, community foundations – observational and informational, as a watchdog, reporting and documenting irregularities and pro-active in terms of identifying and implementing possible solutions. There are, to name just a few examples, tampering actions of public spaces adjacent to dwellings, guided tours that tell the history and evolution of the city to its inhabitants, relaunching metropolitan libraries as community-cultural hubs. For consistency, however, my colleagues and I consider that we need to go back to the details, which we can analyse individually through documentation groups made up of architects, urbanists, anthropologists, economists and inhabitants of the areas, to negotiate and solve the overlap/transition areas, and so we can cover the whole territory from the ground. The Bucharest of grand plans and demiurgic visions is currently missing out through the lack of real data, and connection to the concrete situations that compose it. f: You are a founding member of the project BAZA, active since 2016, which already has in its portfolio initiatives of public space valorisation, the reintroduction into the cultural circuit of abandoned buildings, collaborations with cultural and artistic entities and events, non-formal education workshops. Little Improvements resulted from BAZA, with the Scara [The Staircase] project as an articulation element of three public spaces – the portico of Kretzulescu Galleries, the Kretzulescu church and the church park. In a recent interview you detailed the implementation process, the possibilities of using the newly created space – the staircase, the bench and the table – respectively the link to the history of the site. Tell us what the first impressions from the community were and why it is essential to keep alive in the collective memory and to capitalise on such forgotten/abandoned spaces. Maria Duda: We’ve inaugurated the staircase on February 28th. The stairs were fixed on February 4th, and the lateral bench a week later. The first impressions were mostly positive, but as with any project of intervention in space and for the public, there were shared views. On the one hand, a large group of local businesses, tourists, non-resident citizens, and many of the parishioners appreciated the staircase for offering them a shortcut to the route, additional access for customers, continuity, play/escalade area for children, a stop around the church from where they can still listen to the service, but also stay outside and enjoy the air and the sun without disturbing anyone. Another group was composed of residents and a more conservative part of the parishioners who saw in this project, first of all, a change in the square and portico configuration as they are preserved in recent memory (since 1990, with the restitution of the Kretzulescu Palace to the Parish) and, secondly, they were concerned about the possibility that the staircase (associated with the nearby café) would attract groups of people to occupy this area and disturb (in their opinion) the public peace. However, we also received testimonies from the older inhabitants of the area that in the arcades, until the 1970s, there was (an improvised) staircase, created after the reconfiguration intervention in the years 1958-62. Beyond the fears and long-standing expectations of the staircase implementation, it is worth mentioning that we are in the centre of the capital, in a publicly active area with a natural social dynamics, in a context where the tourist vibration naturally overlaps the tranquillity of the residential space. Starting from the beginning of March, for one year, we will monitor the metabolisation of the staircase and bench by the public, hoping that our successive documentations in the last 4 years (we started in the spring of 2015), analyses, interviews, photographing those who would escalate the arcades, the successive wall cleaning interventions, the searches and the proposal resulting from the conclusions of all the above will be validated by its users. 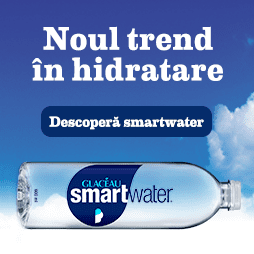 During the official 3 years of Little Improvements, our posts have also been generating ideas for research or collaboration, as was the case with Grupul de Inițiativă Kiseleff [Kiseleff Initiative Group] and Cartierul Creativ festival [Creative Neighbourhood], or taken as an example, encouraging similar actions. f: What are the places in Bucharest that most need “little improvements” and which BAZA will continue to focus on? At the same time, which are the top 3 cities or smart projects implemented in the urban environment, in our country or abroad, that inspire you? Maria Duda: I was mentioning earlier the necessity to clarify the details of the city, urban designers turning from the computer connected to Google Street View, to concentrate on the actual field research of public space, streets, urban plinth, parking needs and possibilities. For the second part of the question – I’m following CityLab and Project for Public Spaces. I’m fascinated, as you may have already noticed, by the small solutions that grow and give shape to the concept of city lovability. As personal experiences, wherever I go, I search for what causes the public’s attachment to space. In Basel, there’s the Rhine which, as it gets warm, is used as a means of transport to and from the office. It is full of people who swim with the towel and office clothes wrapped in a plastic balloon – Wickelfisch, which has become a symbol of the city. In London, besides the enormous variety of time spending options, there is cultural and educational inclusion. Theatre plays, and youth showrooms were reworked and remodelled to allow children with autism to participate. They set up an entire methodology of directing, stage lighting, sound monitoring, creating alveolar spaces of silence that make the artistic act perceptual and intelligible. Similarly, in Nice, I enjoyed the park located between the two heavy traffic boulevards – which park becomes beside pedestrian shortcut, space segmented by activities, including sports areas, museums, playgrounds, meeting spots. Also, Rome or Venice, a pedestrian city par excellence, both have a relaxation on the use of public space: the church squares, the gardens of the universities, the courtyards of the museums are spaces for walking and reading outdoors, or playgrounds of children whose laughs and running around do not attract any remark or admonishment. In the country and Bucharest, I admire the MNM studio for the bridge over Canalul Morii and arrangement of Duzilor St. in Reghin, Planwerk, with their works in Sibiu and Cluj – the approach to details was also the basis of the project for the rehabilitation of historical centres, Vallum, which has a whole tradition of sensitive interventions in natural promenade spaces [f: for example – Drumul Sării. Arhitectură peisageră la Sovata / The Salt Road. Landscape Architecture at Sovata], AMAis, La Firul Ierbii, Wolfhouse Productions, studioBASAR. f: One of the objectives of BAZA is the formation of a professional youth network, “ working together and doing something for the city”. How is this “recruitment” and collaboration going on now? How did you conceive the structure of the network and how do you plan to develop it? Last but not least, do you want to involve the community in future projects or educate community members who can also generate their own “little improvements” – at the level of tenant associations, certain areas in neighbourhoods, and so on? Maria Duda: We started by interviewing our acquaintances, and from here it was propagated. We meet many such activators at conferences, discussions, sometimes we find them online, sometimes they reach us. The portfolio has grown from non-governmental organisations to entrepreneurs and even public servants, and we are happy about such crossings not only between fields but also in areas and perspectives for action. There are several common strands of this generation in this diversity, and the focus is on the medium and long-lasting migration in the European or global space. Whether they have been educated, professionally formed, worked as volunteers, or are in constant contact with other countries, contemporary urban activists are, let’s say, cultural migrants and manage to bind inter-professional bridges with tolerance, responsibility and openness. This is the characteristic feature we have identified as an additional resource for their determination in their projects, but of course, it is not a mandatory criterion in establishing new contacts or in making any civic action. We initially thought about the structure of the network based on professional criteria – who does what, and what long-term goals there are – so that the different points of the constellation can be linked organically. We want to accompany this network with a map of actions to better visualise areas of interest, but also to be easier to get in touch with active groups in specific regions where individual projects are being developed. f: BAZA included several projects involving college and high school students – for instance, The Change Hub or Space Informers. As a professor, you are constantly interacting with the new generations. What pleasantly surprises you when you work with young creative minds? How would you describe their vision, involvement, desire for change? Moreover, what do you think it’s essential to stimulate and encourage in their education? Maria Duda: In college, I have worked mainly with the end-year students (23-24 years old) and at BAZA workshops and projects with teenagers – 15-16 years old. It is a notable jump between these groups, although they both show an early maturity. College students have individually developed their professional maturity, while high school students grow into a group, in a self-organised and highly disciplined community. Most high schools benefit from mentoring from professional training organisations or the Interact club network. Simply put, outside school hours, high school students volunteer to attend time management courses, organise team-building trips to see what common interests they have, brainstorming and pitching ideas that each contributes to projects that they are passionate about and around which they gather colleagues. They’re up to date with all the specific terminology of a project, know what a Gantt chart is and how to make one, and they are looking for funding, administrative support, execution specialists. The ones I collaborated with had made fashion shows with their own creations, theatre shows, a poetry festival, workshops on sustainable architecture, and organised humanitarian campaigns. Internally, they also deal with communication – they learn Photoshop by themselves, make their logos, mottos, speeches, choose the tone of voice. They are very digital media savvy, reaching easily and naturally several hundred users in a few hours. As for pragmatism, their highly disciplined efficiency actually allows them to juggle these activities that are already in their normality, with their school and daily loads. They are an impressive force, follow all procedural steps, like at school, and appeal with the age-specific confidence to adult professionals. On our part, it is worthwhile to be supported and professionally advised with the utmost seriousness. We also have a lot to learn from them, and let us not forget that we form them in the professional spirit we want to be treated with. f: We last saw each other at the final CAPITOL conference, held in the new OAR headquarters. You were part of the jury for an Open Call of the project. Tell us a few words about the judging process and the selection criteria. Of the proposed concept projects were there some that you believe would work not just as an imaginative exercise, but as a real exercise if the garden of the CAPITOL Summer Theatre would enter the rehabilitation phase? Maria Duda: Capitol – Vision for the Future was a great exercise to bring to the present a space that was of vital importance in the last century, but which has been abandoned since the late 1990s when state cinemas were intentionally forgotten. A contest does not generate thoughts and questions only to the participants, but also to the public and the jurors. To be an oasis of silence in the noisy and crowded city centre? To be a picture of the past? Should it be restored altogether? What is the essence of the Capitol Garden? It seemed to me that Fülöp Csenge responded sensitively, personally and feasibly to these questions, bypassing the nostalgic traps. f: Before the launch of the open call we referred to earlier, we had the opportunity, at your invitation, to discuss with the students of Spiru Haret University about the CAPITOL Cinema / Summer Theatre and they also observed the situation on the ground. How did you decide to choose this theme for students? Was it an exercise with a practical purpose or aimed at deepening the multitude of theories that apply to a set of monuments located in the centre of a capital city? What were the most exciting student responses to this topic? Maria Duda: The exercise was indeed confronting one of Bucharest’s real estate realities – the economically motivated preference to leave heritage buildings until their irreparable degradation so they can later capitalise on the land. Facing such a practice, professionals need to come up with not only saving solutions for monuments, but that are also sustainable and economically profitable. Figures come first, and the added value of a saved significance is still ignored. Therefore, for one year, I proposed to study the area behind the Novotel Hotel / the former annexes of the National Theatre, the greenfield of the Post, the abandoned building of the Technical Publishing House, the empty corner near Old Sibiu, the Adevărul Palace, the cinema and summer garden of CAPITOL. We started with on-site documentation, PUZ study [Zonal Urban Plan], analyses of functions, users, schedules, typologies, capillaries, perspectives, attractors, history of places so that based on them we could propose masterplans and stages of intervention. In general, there were two directions – the conservative ones of the existing tissue, primarily dictated by car transit, and those who reconfigured the public pedestrian space by intermingling a network of squares and new passages, thus linking the new to what exists. Bringing them back to the present was, as in the case of your contest, the determinant theme – identifying the type of scale relationships, usage, audience that these spaces and new buildings will serve. Among the solutions presented, I will showcase below the proposals of Mihaela Atănăsoaie and Eugen Burlacu. 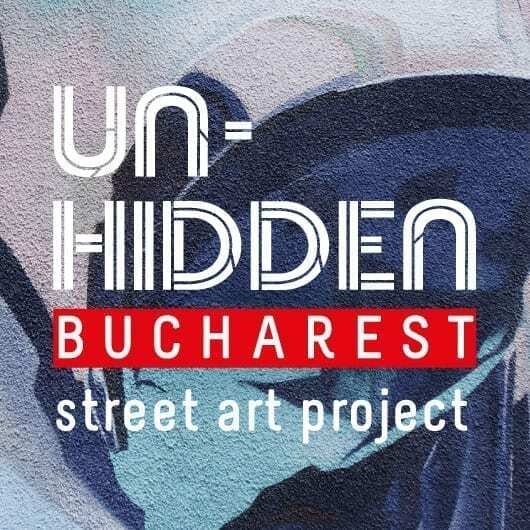 f: Regarding public space interventions and urban regeneration in Bucharest, we also launched the project Un-hidden Bucharest and created a map featuring 56 drawings that colour the city. From your point of view, how does art contribute to the development of the city? What do you think about the capital’s street art in general? Are there “little improvements” that have remained in your memory and would you like to mention them as examples of positive change? Maria Duda: Oh, art in public space! Yes, definitely yes, art as a major improvement of the interior and exterior context. Gray Bucharest can be coloured with so little! At one of our Urban Experience shows we talked with Privește Cerul about the message he is spreading, about searching and choosing places to look at the sky. He told us about the relationship of philosophical antagonism with AeuL and the creature of chaos, which, together with Privește, create the recurring characters of Bucharest. I have a personal preference for contextualised guerrilla interventions that prolong urban stories: Toybox, Ortaku, Jabra22, Kitră. In 2008, I discovered at Art Basel the urban art of Ernest Pignon Ernest, and I was impressed by the attitude of revealing something specific to the place of intervention – either history, mythology, a superstition, a political reaction. The city, through the layers of urban art, becomes a palimpsest in its own right. As points on your map – Murivale and the open-air gallery in the Saint George square is exemplary for removing from the profane a space fallen in tastelessness. Then, I remember in the 2000s the intervention of Pisica Pătrată (I think) with the characters pasted-up on the facade of the former Hermes club in Lipscani – the inhabitants of the story of an abandoned place meant for demolition. More recently, Sorina Vazelina and teammates who illustrated the testimonies of the tower block residents at the United Nations Square through the Elite Art Gallery project. Also, regarding murals – commissioned or not – Saddo and then all the tradition of returning to Arthur Verona St. seems to have set positive expectations among the general public. Maria Duda: I remember the issue of Colors magazine – 2057 Welcome to Vörland. Impeccable. I think it will happen sooner. Let’s come back to 2029. It’s warm. However, we have many trees now – as in the good old days – cherry plum trees, acclimatised apples and litchi, lemons, oranges. People are more thoughtful, more careful with what surrounds them and what they do. The neighbourhoods have specialised in urban agriculture, energy production, green spaces and buildings, and thus self-sustain and exchange with adjacent communities. Dâmbovița and the historic buildings are protected areas and transformed into learning, sports, culture, communication, professional training and co-working spaces. There are no homeless people anymore: they care for the recycling towers, the illumination and oxygenation of the neighbourhoods. Education and culture are accessible to everyone. The city’s normalisation has finally taken place. You can follow Maria on Facebook. We also invite you to keep in touch with upcoming projects by BAZA – on their website, Facebook, Instagram – and Little Improvements – Facebook, Instagram. This article is part of the Un-hidden Bucharest series of interviews with street art and graffiti artists, published weekly on feeder.ro. Together we will enter their artistic universe and learn how the city can be regenerated through artistic interventions in the public space. Keep your eyes on feeder.ro, we’ll publish new interviews soon with iZZY iZVNE, Maria Bălan, John Dot S, Livi Po, J.Ace, Robert Obert, KSELEQOQYNQYSHY, Primitiv Print, Livia Fălcaru, Skinny Bunny, Obie Platon, Alina Marinescu, Irina Marinescu, Kero Zen, Lost.Optics, Serebe, CAGE, ILUC, Boeme1, Mihai Zgondoiu, Kraser, Meguru Yamaguchi, Nicolás Sánchez Alfalfa, Pisica Pătrată, Alexander Blot, and more.